I’ve just bought an identical bike. 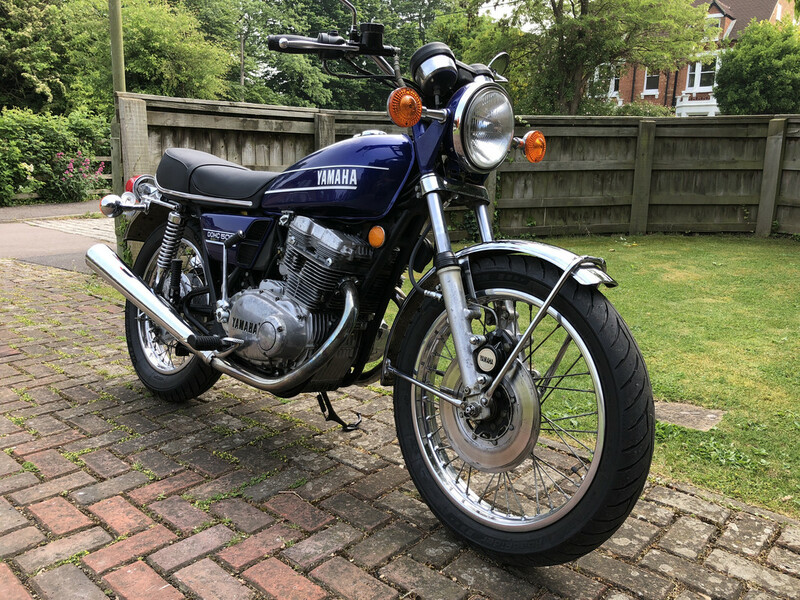 Like you, this is my first classic bike, I’ve mainly had 1990s sports bikes before. Welcome to the forum you found a very nice example! Is it a US import? Someone did a good job on the seat cover too. Welcome to the forum. Your A model looks like a good one! Yes, mine's a US import, imported a couple of years ago, like the OP's bike mine's done very little mileage, just over 6000. I like the seat cover, although it's not an OEM style, I think it looks really good, so it'll stay! Just to update...I took carbs back off and had to replace the left side carb body cause one of the float towers had broke off. So while I had then apart I rebuilt them both to spec. Foam wrapped the stock air filter unit (after removing the old paper LoL). Also I rebuilt the brake caliper, installed new fork seals, added sum preload to forks (I'm 6'2" 240lbs), sandblasted and painted lower tubes or fork legs (whichever u choose to call it). I will continue to update as the build progresses.